There has been a constant debate as to which footballing league is the best in the world and more often than not, the name of the Premier League comes to the foreground. But during the past couple of years, the likes of La Liga and Bundesliga have garnered much attention as they have started to understand the huge revenue models associated with the game. And the fact that the Spanish and the German league boasts some of the best attacking talents in the world also helps. But one area where the Premier League stills triumphs over its counterparts is the defensive area. And the latest list from CIES Football Observatory is a perfect example of that. 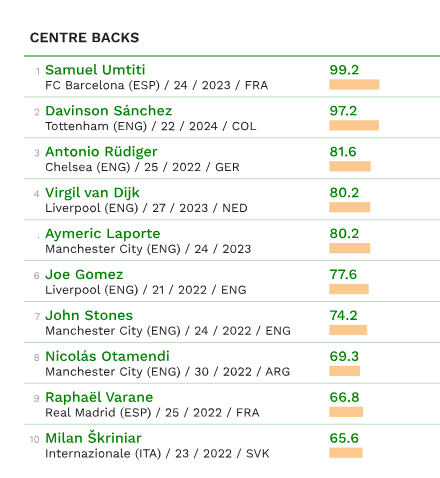 The CIES uses various factors like performance, age, marketability and their current contract length among other factors to determine the transfer value of players across the top 5 leagues in Europe and it looks like the Premier League is running the top defenders charts. As many as seven Premier League defenders feature in the top ten list with most of them coming from the top teams in England. The number one spot though is occupied by Barcelona defender Samuel Umtiti – valued at €99.2 million but apart from that it is all the Premier League. The next seven spots are occupied by Premier League defender with Spurs’ man Davinson Sanchez sitting at second spot with a valuation of €97.2 million. 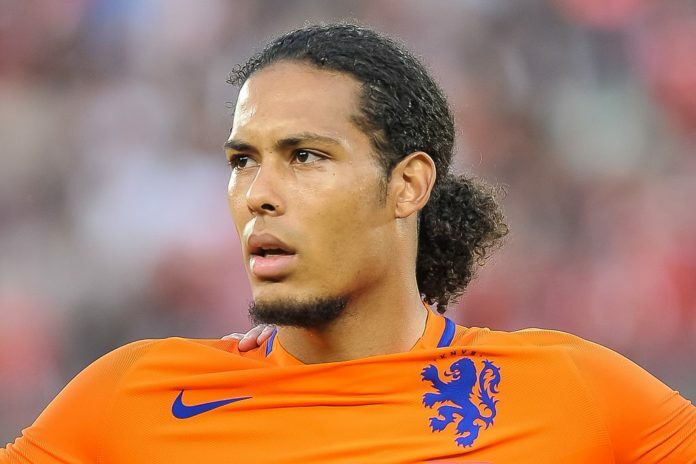 Chelsea’s Antonio Rudiger is third on the list with a valuation of €81.8 million followed by Liverpool’s record signing Virgil Van Dijk valued at €80.2 million. Van Dijk’s defensive partner Joe Gomez also makes it to the list at the sixth spots while the other Premier League defenders on the list are all from Manchester City(Aymeric Laporte, John Stones and Nicolas Otamendi). Real Madrid have only one representative on the list in the form of Raphael Varane who is on the ninth spot. Read: Premier League defender becomes the first player in history to suffer zero losses. Read: Here are the top 10 most valued footballers in the world. Read: Will Manchester City challenge the likes of Chelsea and Spurs in the signing of ‘this’ Hammers youngster? Read: Is ‘this’ German national team misfit on his way to joining Manchester United? Previous articleWhy is this footballer not wearing the iconic Remembrance Poppy?